Those looking for a secular Declaration of Independence are about to have their world and their worldview shattered. By the end of this Post you will know the powerful truth about the Christian character of the Declaration of Independence and of the men who adopted it. Benjamin F. Morris wrote his 1060 page book, The Christian Life and Character of the Civil Institutions of the United States in 1864. The Second Continental Congress is a prime example. 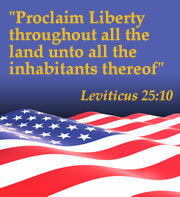 The Declaration is informed by the Holy Bible, Natural Law and the political philosophy of John Locke. You will be thrilled as you see the Declaration in its three sections and understand its 9 key concepts. Don’t be surprised if you watch a second time. Gary T. Amos, J.D., is the living authority on the Biblical basis of the Declaration of independence. 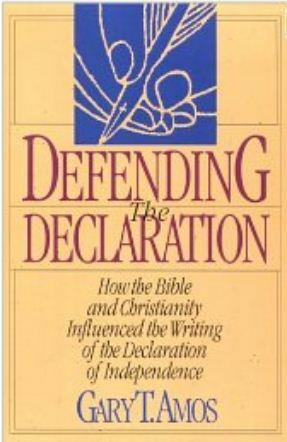 Those led to study beyond this post will do no better than reading his book, Defending the Declaration: How the Bible and Christianity Influenced the Writing of the Declaration of Independence. You will find the basics in this delightful video: God as Supreme Judge—Defending the Declaration of Independence. 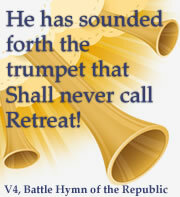 This entry was posted in American Promise, Engaging the culture, Reclaiming and Restoring America. Bookmark the permalink.